Look at this! 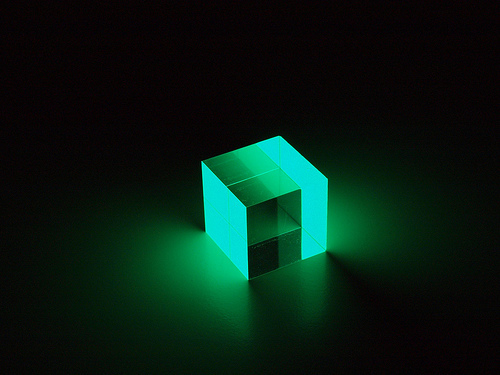 Today’s product from B-LABO is this fantastic glowing cube. 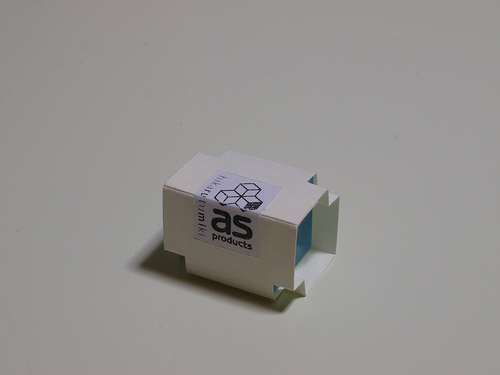 A 2 cm acrylic cubic block with the special fluorescence paint. The special fluorescent paint absorbs and stores light, then glows for a while when you make the room dark. 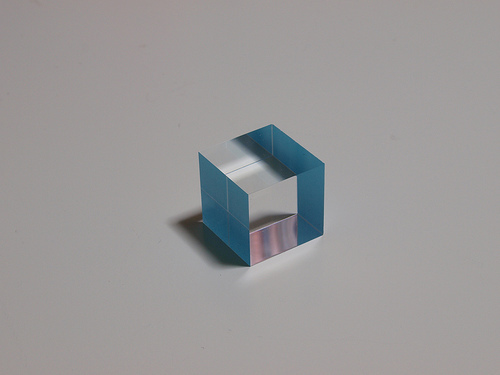 Just one surface is painted, and the cube glows in different ways due to refraction and reflection. So, it is fun to see from all angles (^^). In the light. It is just a tiny cube, but still the smooth surface is beautiful. The cube is packaged like this. Can you see the word “tumiki” on the sticker? In Japanese, tumiki (tsumiki) means a child’s building block. It must be lovely when you build something with many of these glowing cubes!